The City of Tampa had proposed the concept for a river walk in the mid 1970s. In the early 2000s the concept regained interest and since then has been developing a hot spot on the Downtown Tampa waterfront. It has added to the modern architecture prevalent downtown and successfully connected many of the parks together, creating an enjoyable place to jog, bike, or walk. 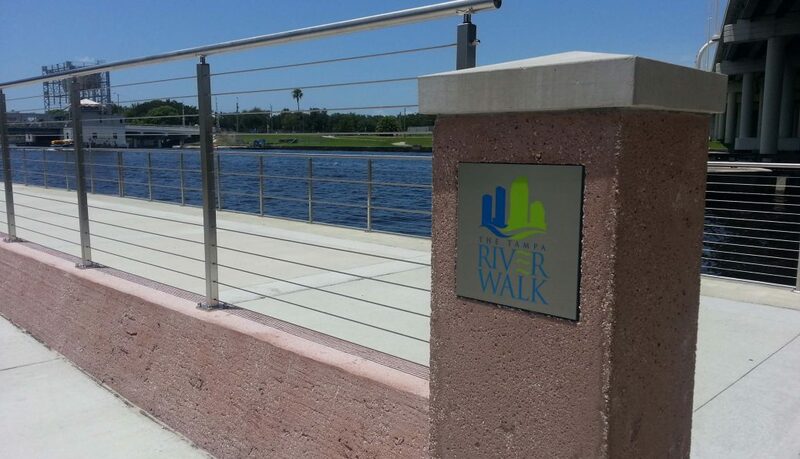 The Tampa RiverWalk has become a unique, fun destination in the city. This custom railing system was a continuation of the Water Works Park that was completed in August of 2014 and Seco supplied the same railing system for this project. Therefore, the design of the railing system was intended to be the same and connected to the Water Works Park railing where it was ended in 2014. 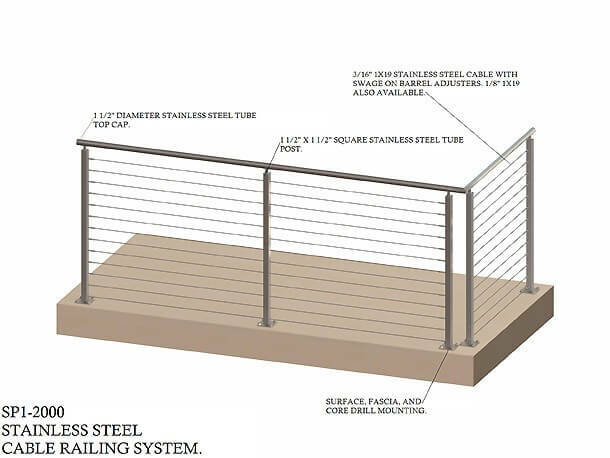 This stainless steel system is a proprietary railing system design for harsh exterior conditions that provides maximum visibility and air flow which is ideal for river fronts, pools, dock-sides, balconies, etc. For this project we worked with the Principal Landscape Architect from URS and Nelson Construction.